Bildstoeckle is one of the flagship of Gerard Schueller as well as Pfersigberg GC and Eichberg GC. Usually Bildstoeckle Gewürztraminer has lychee and apple flavours with crispy acidity, but this 2016 is a bit different. Thick, concentrated, powerful and rich. Another face of Bildstoeckle. No doubt 2016 will enjoy long life. SP68 Rosso, is a blend of two varieties Moscato di Alessandria 60% and Albanello 40%. Fermented by indigenous yeast only, 15 days skin-contact. Elevage for 6 months in concrete vats and bottled without filtration. The title "SP68" refers to the Strada Provinciale 68, a state route that passes by Arianna’s rural property. Grecanico 100% from red soil, medium consistency; formed of subalpine sands of Pliocene origin, of limestone - siliceous nature, interwoven with compact layers of fresh clay and calcareous tufa. Fermented spontaneously in terracotta amphorae on the grape skins with indigenous yeasts. Aged in amphora and bottle. 100% biodynamic Savagnin, skin contact for three weeks. Unfiltered, non-fining and no SO2 added. This is a experimental cuvée to seek for new possibilities of Savagnin grape. Laura Seibel brought an idea of skin contact(maceration) to Domaine de la Pinte, through the experience of wine-making in Georgia and Samuel Berger has sophisticated this method. In 2017, Domaine de la Pinte lost 80% of crop, but they decided to continue this cuvée. 100% Chardonnay from Le Corroy- Côtes des Bars. Fermentation by wild yeast, aged on the lees. No filtration before bottling. Degorgment : July 2017. It is brut nature, zero dosage. No sulfur added. Tiny productions. Romorantin is a local grape in Cheverny - Loire valley. Courtois's Romorantin is thick, rich, complex and round. No sharpness, but hint of fresh herb makes wine lively. The wine is changing every moment in the glass. Extreme low yield(less than 30hl/ha), fermented by wild yeast, 40 months ageing, no racking, no fining. Gascon is a originally from northern Bourgogne. Courtois revived this nearly extincted grape varietal in his land. Only 100 cases were produced from 0.15ha of tiny parcel with extremely low yields(less than 30hl/ha). Released after 30 months ageing. Comfortable granulose texture in the beginning and turned to silky touch in several minutes. Sauvignon Blanc 100% from two parcels. Extremely low yield(below 30hl/ha). Dense, silky, gentle touch yet very tasty. Gamay 100% from over 40 years old vines. Released after 40 months ageing. Charming, flowery aroma, silky texture with juicy fruits taste. Very comfortable. One of the best Gamay in the world. Sauvignon Blanc, Chardonnay, Romorantin and Menu Pineau. Extremely low yield(below 30hl/ha), from Clay + Silex soil. Silky texture with complexity and spiciness. The wine is changing every moment in the glass. Old vines of Gamay, Cabernet Franc, and Côt (Malbec), Pinot Noir. Extremely low yield(below 30hl/ha), from Clay + Silex soil. Silky texture with complexity and spiciness. The wine is changing dramatically every moment in the glass. Special Pinot Grigio you've never seen - Dark and shiny pink colour Pinot Grigio made by skin-contact. Very comfortable pure concentration of red and black fruits, and smooth texture. Fermented with wild yeast without temperature control, non-fining, non-filtered. Contrées Champagne is a project by grower champagne producers - Oliver Horiot, Elise Dechannes and Arnaud Lamoureaux. These four bottles are made from 100% Pinot-Noir from same area - Les Ricey, but all are from different lieux-dits which have different characters. Paiagallo is Giovanni Canonica's original vineyards. Gianni produces stunning Barolo from this vineyard. All the works are traditional and natural in the vineyards and cellar. The vineyard is totally free from herbicides, pesticides or fertilizers. 40 days maceration, using only indigenous yeasts without any additives, vertical hand press, then aged in 20hl slavonian oak. Barolo enthusiast must experience this. Good news from Canonica is the increment of production although it is tiny addition. He got a new supply of excellent grapes from his wine's family vineyards "Grinzane Cavour". He has managed this vineyard in the same manner with his Paiagallo and wine-making as well. Giovanni Canonica is the real deal on a par with Bartolo Mascarello. 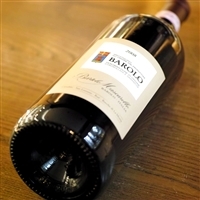 Barolo enthusiast must experience this. [Magnum 1500ml] The bouquet opens to plush flavors of red fruit and cherry with grilled herb, tobacco and mineral delineation. Its structure is yielding and round and the finish is ripe with soft fruit flavors. Make no mistake, it doles out complexity and an ethereal sense of balsam herb, cola and licorice that is the hallmark of this historic estate with a tiny garage winery in the town of Barolo. RP94,WE94,WS93 A wonderfully fresh, bright and layered nose reflects notes of cool red and black cherry, plum, violet, lavender, earth and a subtle, but not invisible, touch of wood. There is notably more volume and mid-palate concentration to the relatively supple medium weight plus flavors that tighten up noticeably on the dusty, balanced and exquisitely persistent finish where a hint of bitter cherry pit surfaces. AM92-95,RP97-99 Sébastien Riffault also produces tiny volume of Sancerre Rouge from Pinot Noir. Same as other cuvées, this red wine is made from perfectly mature grapes with 50% botrytis. Only 1 ha, from 40 years old vines on Argilo-Calcaire(Caillottes) soil, No SO2, Non-filtered. Cossard's home ground Saint Romain. Combe Bazin belongs to same geologic stratum with Puligny Montrachet. Fermentation goes on 4 months by wild yeast and aged in the barrel for 12 months and 2 months in stainless tank. Mineral, fruit and acid are well integrated. Chardonnay from Puligny Montrachet area and near Volnay and Pommard. Age of vine is over 50 years old. Frederic Cossard produces wine from only old vines. Fruits and minerals balanced at high level. A great natural wine classics. Pinot-Noir Vieilles Vignes from Volnay and Nuits-Saint-Georges. This is the one of the bible of Vin Nature and a good choice for first bottle to know Frederic Cossard. Fine and delicate. Cossard's home ground Saint Romain. He says he know everything about this vineyard. Size is 1.2ha, Frederic Cossard spent 15 years to make perfect condition of this vineyard. Old vines(average 65 years old) produces the wine like pure essence of terroir. This is a Blanc de Blancs, made from 100% Pinot Blanc 60 years old vieilles vignes from the lieux-dits "Le Champ du Clos" of Celles Sur Ource village in Cote des Bar. This lot is made from 2014 vintage grapes. No sulfur added. Tiny productions.